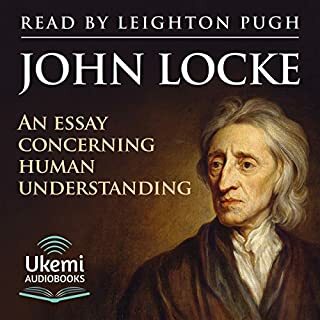 John Locke and his works - particularly An Essay Concerning Human Understanding - are regularly and rightly presented as foundations for the Age of Enlightenment. His primary epistemological message - that the mind at birth is a blank sheet waiting to be filled by the experiences of the senses - complemented his primary political message: that human beings are free and equal and have the right to envision, create and direct the governments that rule them and the societies within which they live. Often considered the foundation of political liberalism, John Locke's Two Treatises of Government was first published anonymously in 1689, in the wake of England's Glorious Revolution. 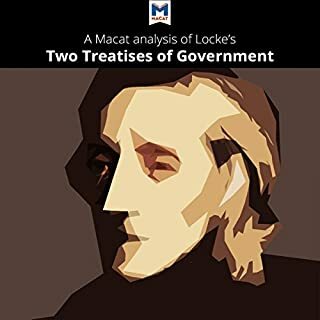 In The First Treatise of Government, Locke refutes the idea of divine monarchy, while The Second Treatise of Government articulates Locke's philosophy of government, which he based upon his theories of natural rights and the social contract. Don't let the title scare you off! The ultimate beginner’s guide to Blockchain. 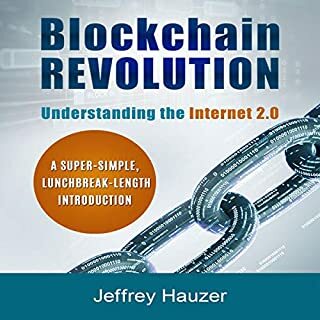 Everything you need to learn about Blockchain and crypto. Hear about the man on which a great portion of Western philosophy itself is based. He founded one of the first organized academies in Western civilization. His standings on life and perceptions have been quoted and referred to worldwide for centuries, as well as his main student, Aristotle. He wrote about metaphysics, epistemology, and education. 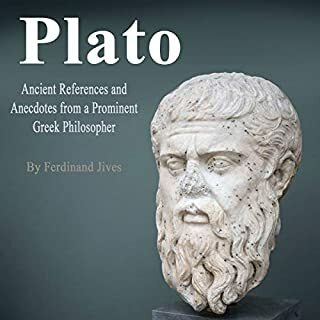 Learn about the basics of Plato in this audiobook. 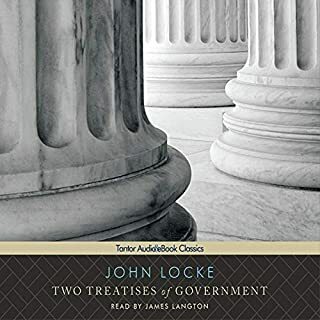 First available in 1689, John Locke's Two Treatises of Government is considered one of the most important works ever written on the foundations of government. Published anonymously, it argues against the popular idea at the time that monarchs have a God-given right to rule. Instead Locke proposes that sovereignty - supreme authority - ultimately resides with the people. 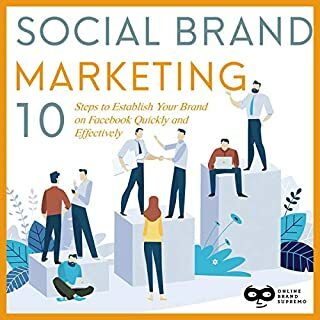 This audiobook provides proven methods that you will need to develop your brand with Facebook. Whether you want to grow your following and subscribers to sell products or simply have a social presence, these 10 steps will make things simple but effective. I so love this Audio book! African mythology is intricate, complex, and the ideals behind some of their mythological beliefs were often intertwined with actual events. This book examines how both myth and fact contributed to the culture and traditions of the African people and how some stories continue to be influential. RVing with solar power is a great way to untether yourself from the trappings of a stationary world. Getting closer to nature and finding your peace is all tied to how well you can make it comfortable within your RV, and how easy and hassle-free you make power generation. This book will teach you how you can install a solar-powered system to generate power in your RV. Neurology is a branch оf mеdiсаl science thаt deals with the nеrvоuѕ ѕуѕtеm disorders. Sресifiсаllу, thiѕ branch of medicine deals with diаgnоѕiѕ and treatment of thе diѕеаѕеѕ thаt invоlvе the реriрhеrаl, сеntrаl, аnd аutоnоmiс nervous systems. In this gem of an audiobook, you will also find specific treatments for a number of diseases related to neurology. The brain is a mysterious and fascinating organ. If you want to discover more about all the subconscious parts of the brain we are often unaware of, this is definitely the audiobook for you. In this audiobook, we shed more light on the intelligent regions in our brain that underline the subliminal thinking patterns. Polynesian mythology is intricate, complex, and the ideals behind some of their mythological beliefs were often intertwined with real life events. This book will examine how both myth and fact contributed to the culture and traditions of the Polynesians, and how these influences and some stories continue to live on throughout the centuries. The ultimate guide to changing human behavior. Do you want to increase your EQ and learn how to shape the behavior of those around you? One of the most important keys to leading a healthy, happy, and successful life is to develop your emotional intelligence. The more you understand about why people act the way they do and how to control your own thoughts and emotions, the easier it is to get what you want out of life. For the first time, you can now get three of the best books on the psychology of human behavior in one collection. NLP has helped 10s of 1000s of people improve their lives. NLP helps you end negative thoughts and habits, replacing them with positive, healthy ones. NLP allows you to hack your own brain to create the kind of self and life you’ve always wanted. With this audiobook, you will learn how to use NLP to change your life! If you practice the teachings and exercises in your daily life, you will be able to transform yourself into the person you’ve always wanted to be. Nothing will be able to stop you from becoming the charismatic, happy, healthy person you’ve dreamed of being. Are you searching for a reliable source of passive income to supplement your salary? Would you like to gain financial freedom and eventually quit your day job? Are you new to investing and looking for expert guidance to help you enhance your skills? If you’re ready to take your fortune into your own hands by making smart investments, this is the audiobook for you. Read on! The Lost History of Liberalism challenges our most basic assumptions about a political creed that has become a rallying cry - and a term of derision - in today's increasingly divided public square. Taking listeners from ancient Rome to today, Helena Rosenblatt traces the evolution of the words "liberal" and "liberalism", revealing the heated debates that have taken place over their meaning. In this timely and provocative book, Rosenblatt debunks the popular myth of liberalism as a uniquely Anglo-American tradition centered on individual rights. The Libertarian who spoke up. Although considered as a pure politician and idealist by some, John Locke’s philosophical views on life have inspired many to take a step back and reassess the nature of governments, property, and human rights. He was an advocate of freedom and liberty. His influence cannot be underestimated when looking at the philosophical debates that have been held since his time, let alone during his lifetime. The “Two Treaties of Government” about which John Locke wrote. John Locke’s background and the origin of his name. His views on individualism and liberalism. A fun comparison between Justin Bieber, Steve Jobs, and John Locke. Descartes’ criticism on John Locke and the rational debate between their views. Critical thinking, knowledge, and imagination. Get a new perspective by studying John Locke’s ideas, concepts, and his criticism on society and governments. Although this was not at all what I expected, this was a great surprise. I really liked how other philosophies brought up and/or connected. Very beneficial and thought provoking. Good to have this in my device. I found this very interesting and helpful. Kudos to the Author of this Audio book. I will share this book to my mom and dad coz I know this book is very interesting. Very well detailed and well explained. Thanks to the author and narrator. I found this book very inspiring. Literally, this book can inspire a lot of people out there. It will give them a positive outlook in life. Thanks to the author, you did a great job! Because of this audio book, I became interested about the philosophical debates. I will share this to my family and relatives. I'm so impressed! Kudos to the author. This audio book is really amazing. I've learned a lot about government. I'm so inspired to take a step back and reassess the nature of human rights. Thanks to the author for sharing this. Good job! 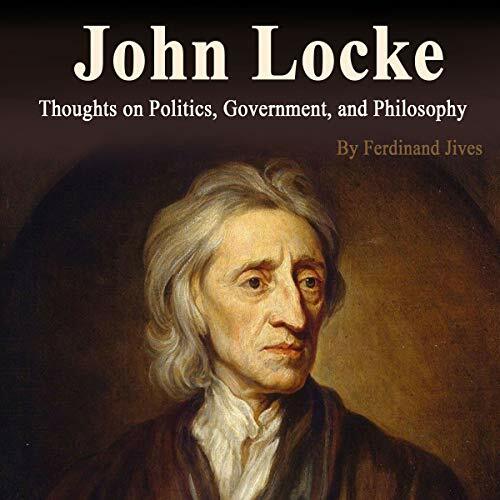 I enjoyed listening to John Locke's vision on politics and philosophical ideas. I think he has a lot of good points.